Select who on your team a client task email will be sent from. 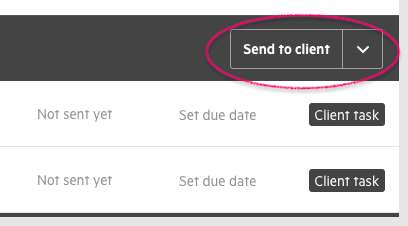 You can choose who your client task emails and reminders will be sent from. 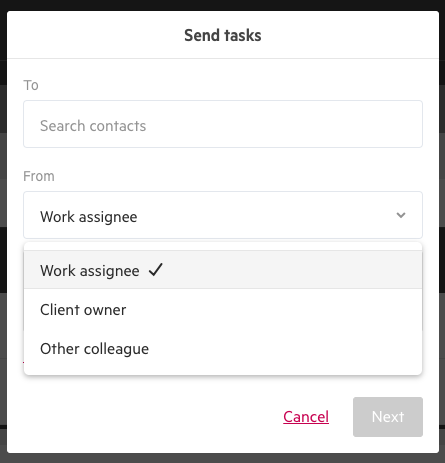 From within the work item's task tab, select Send to Client button on the Client Task module. A modal will appear where you can select who the client task will come from. It can come from the work assignee, client owners, or another colleague. If you would like the email to come from yourself, and you are neither the work assignee or the client owner, select Other colleague and enter your name.